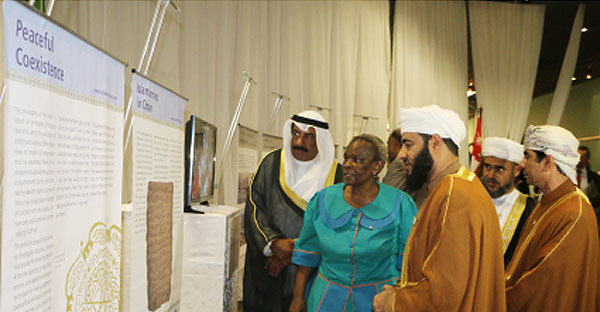 The Message of Islam exhibition opened in Pretoria, the political capital of South Africa, under the auspices of Semane Molotlegi, Queen Mother of the Royal Bafokeng. Semane said, this exhibition comes at the right time. Oman is a country of tolerance and is constantly pushing for dialogue to resolve problems between the countries. HE Mubarak Bin Salim Al Zakawani, Sultanate’s Ambassador to South Africa, praised the relations. 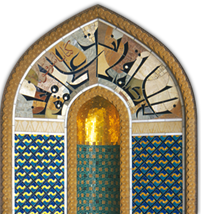 He said this exhibition carries important implications about the culture of tolerance and dialogue. The National Cultural History Museum explores South Africa’s cultural diversity in various permanent and temporary exhibitions. Exhibitions include rock paintings and engravings of the San people; thousand year old Iron Age figurines from Schroda in the Limpopo Province (described as “the best known artifacts indicating ritual behaviour in the Early Iron Age”); the Art Gallery presents an overview of South African culture through time, using cultural objects, crafts, sculpture and paintings and an exhibition on Marabastad is a true example of a cosmopolitan and fully integrated rainbow nation before apartheid.